Moving fast and light whilst retaining some of the creature comforts of traditional trekking is the holy grail for the modern multi-day hiker. Moving hut-to-hut through the Alps or bedding down in Scottish bothies, this 35-litre capacity pack will squeeze in everything you need. for a couple days of well-earned escapism. 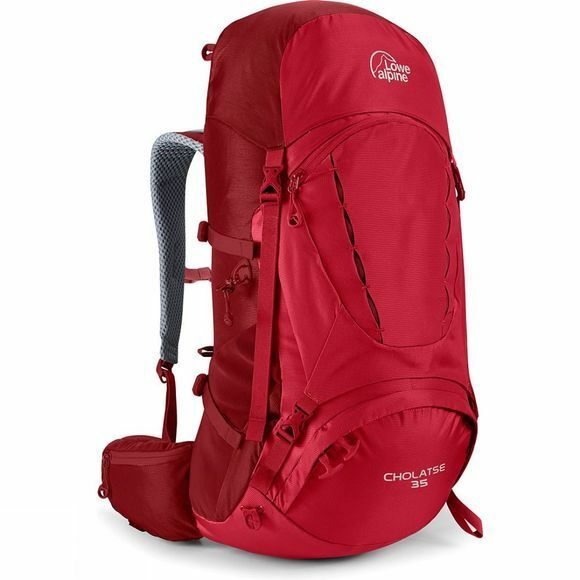 The thoughtfully engineered harness of the Cholatse 35 Rucksack provides comfort and load carrying stability while the velcro adjustable Air Contour back system ensures a precise fit.